If you’re shopping for a home and want to get the best price on a house in today’s real estate market then Ocean Isle Beach foreclosures are definitely the way to go. It’s the best way to purchase real estate at prices significantly below appraised values. Ocean Isle Beach foreclosures don’t come around all that often so give serious thought to pursuing this type of real estate. Foreclosure properties are on the market by banks and other mortgage holders because homeowners couldn’t make their payments and the home was repossessed. These foreclosures are being sold at far below than their market value. Regardless of the size you’re looking for we have a variety of sizes and styles of foreclosures. These are great real estate opportunities if you are looking to purchase a home to use as your primary residence, a vacation home, or as an investment property for rental income. 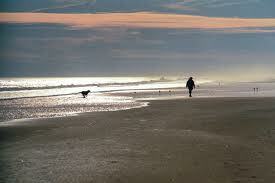 Coastal North Carolina, is a very popular are for both vacationers and those wishing to settle down. Because of the large influx of tourists year round, vacation rental properties are easily kept full here. This is truly a beautiful place to visit but it’s an awesome place to live as well. It’s a great family oriented area that offers a peaceful and laid back atmosphere you’d have a hard time finding any place else, just give Jayne Anderson a call at your convenience at 910 279 4001 or toll free 800 450-3684.